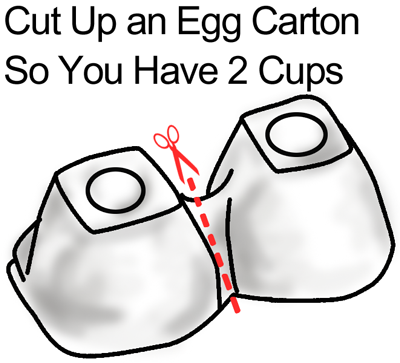 Cut up an egg carton so you have 2 cups. 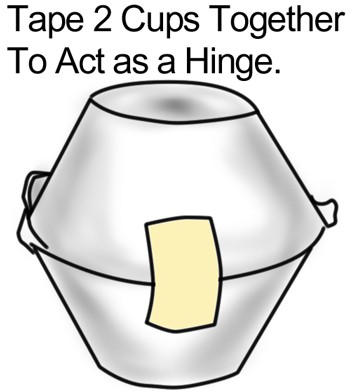 Tape 2 cups together to act as a hinge. 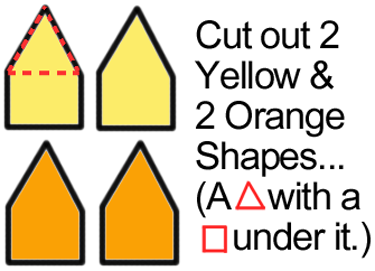 Cut out 2 yellow and 2 orange shapes (a triangle with a square under it). 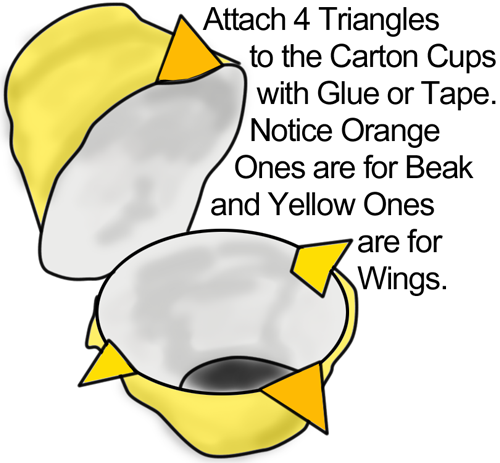 Attach 4 triangles to the carton cups with glue or tape. 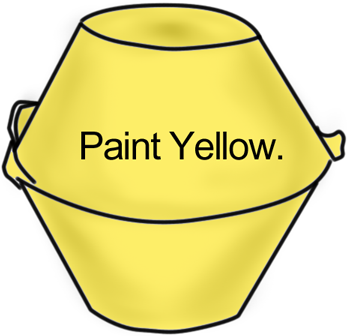 Notice orange ones are for beak and yellow ones are for wings. 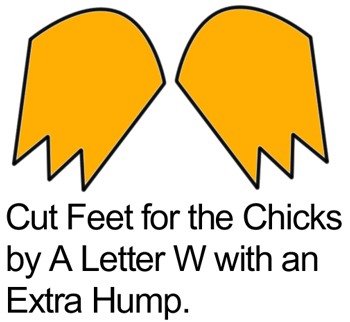 Cut feet for the chicks by a letter W with an extra hump. 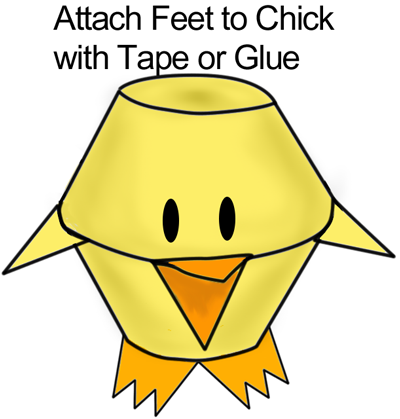 Attach feet to chick with tape or glue. 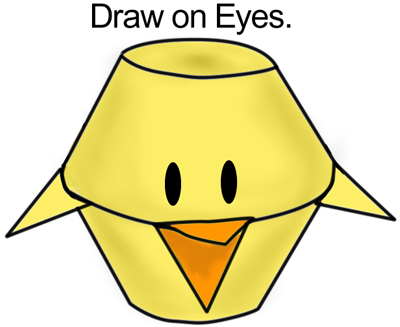 Now fill with candy and give this Candy Filled Baby Chick to someone special this Easter. 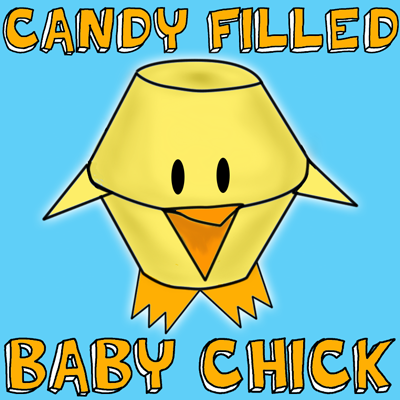 Or, if you are having Easter Dinner at your house set these Candy Filled Baby Chicks at the Children’s table…. 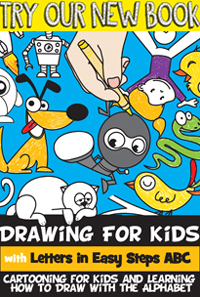 they are sure to love them.